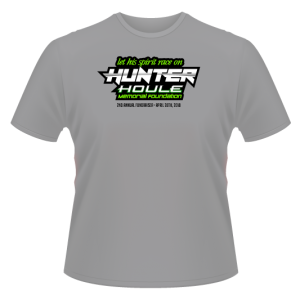 This is our new 2017 Annual Event T-Shirt. 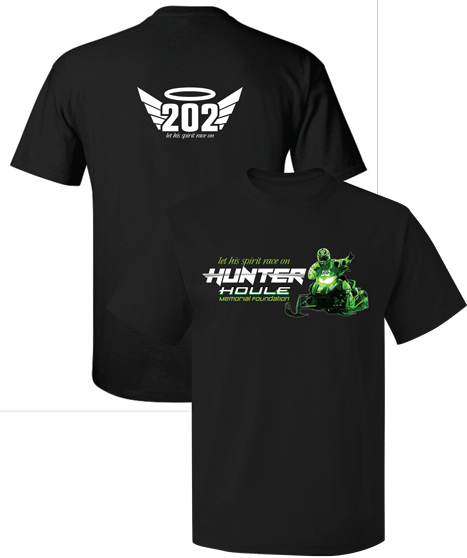 Don’t miss your chance to have the inaugural event t-shirt from the Hunter Houle Memorial Foundation. 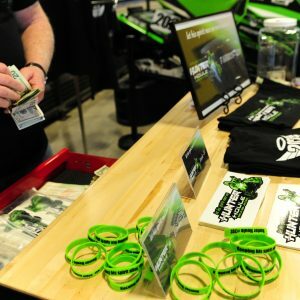 Help us keep Hunter’s spirit alive through charitable our charitable works. 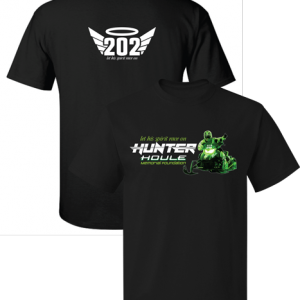 This 2017 event t-shirt has the foundation logo on the front and hunters race number logo on the back.